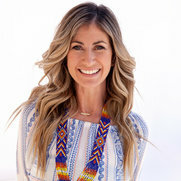 Dee is the designer and stylist behind the Murphy Deesign interior design firm, and the editor of the Murphy Deesign blog which covers fashion, lifestyle, travel, decor and family. Her aesthetic is cool, collected and eclectic, mixing modern and vintage with a flair. 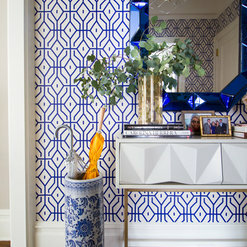 Not afraid to mix patterns and colors, she loves to style with a pop! Dee’s work has been featured in Lonny Magazine, Glitter Guide, Rue Magazine, and Lulu & Georgia. She designed a window for the La Cienega Design Quarter’s 6th Annual Legends Of La Cienega in 2014, and she has contributed articles to MyDomaine.com, and Domino.com. Dee draws her inspiration from her family, her travels, and the endless originality and creativity of her home state of California where she loves to explore, surf, eat and search for endless photo ops with her son Parker and daughter Avery. Dee’s work has been featured in Lonny Magazine, Glitter Guide, Rue Magazine, and Lulu & Georgia. She designed a window for the La Cienega Design Quarter’s 6th Annual Legends Of La Cienega in 2014, and she has contributed articles to MyDomaine.com, and Domino.com. Dee is simply fabulous. She "gets it"...in more ways than one. 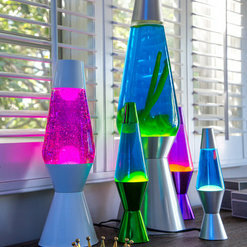 I started by handing her a challenging project (teen boy wants rappers-meet-pop/art-meets-lots/of/lava/lamps!) I then had minimal time to spend with her, a limited budget, and gave her (what were likely annoying) suggestions along the way. But Dee is not only a pro with an incredible sense of style, she's also an amazingly light spirit who's very difficult to rattle. She handles things with an ease that I truly envy. My teenage son's room is fantastic. Stylistically, he and I don't agree on much these days...but we both love his room. Thank you Dee! Dee and I worked together in 2015 on an e-design project for my new Greenwich Village co-op in New York City. 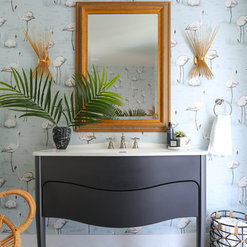 I was referred to Dee by my favorite home design online store, Lulu and Georgia. Dee and I clicked instantly over our first phone call and after a few style Q&As and a link to my home design inspiration Pinterest board, we were off to the races! Our design adventure was truly like designing my apartment with a great friend - Dee and I texted and emailed ideas to each other constantly and we probably interacted more than most clients who live in the same city! I am so thrilled with the final result of my 1-bedroom home - sophisticated, but fun and cheerful at the same time. A true oasis in this busy city and a place I'm so excited to come home to each night. Thank you, Dee! 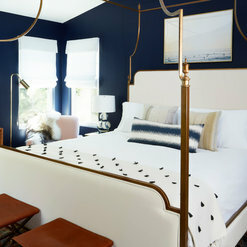 Dee Murphy of Murphy Deesign was hired to redesign/redecorate our daughter's bedroom, and to create a more "teenage" space for a just turned 13-year old who had been in the same trundle bed since she was 3-years old! We could not have been more pleased with our collaboration from start to finish; working with Murphy Deesign surpassed our expectations. Dee worked directly with our daughter (asking her to answer specific questions via email) to create a design board which she brought to the initial consultation. The three of us reviewed the board on Dee's laptop and I couldn't believe that Dee had not only created a beautiful space but she had "nailed" my daughter's taste and personality from that one questionnaire! Dee truly has an "eye" and great creative instincts, along with a wonderfully calm and professional demeanor. The whole process progressed in a very smooth manner. Most items were delivered directly to our home and then Dee would make an appointment with us to come and arrange, hang, paint, etc. We took all of Dee's suggestions from paint to wallpaper to furniture, etc. The room is simply gorgeous and fits our daughter so well. Dee was responsive, met all deadlines, and worked within our budget. If we spent more or less, it was only after consulting with Dee. An example: Dee found a beautiful desk chair in the perfect color of green but it was several hundred dollars more than we wanted to spend. We asked Dee to look for something similar but much cheaper and she found the perfect chair. It's white but fits the room beautifully. Five stars for Dee Murphy of Murphy Deesign!!! Wonderful experience. Dee did our interior design at my house in Manhattan Beach. She was amazing! Not only was she super patient w my husband and I, she managed to pick furniture that flowed beautifully into a new home we had to move to after just a short period of time. We didn't expect to move so quickly and were so relieved and pleased that the furniture was able to work beautifully In a warm modern home, compared to the beach house we were living in before. 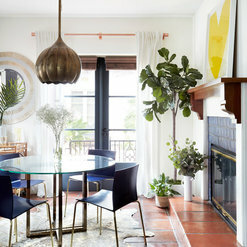 She has a good eye to find some unique pieces to give a room character, yet timeless enough to be used in another way. Thank you Dee so much for your sense of style and your unique gift of knowing how to put pieces together to please our own tastes. My home wouldn't have looked good without all of your help. Thank you! Dee Murphy of MurphyDeesign redesigned my home office, taking it from a disorganized mish-mosh of randomness to a glamourous and amazingly organized work space. I still walk into my office and cannot believe it’s actually mine. She is meticulous about every detail but without losing the whimsy & playfulness that is just so “Dee”. 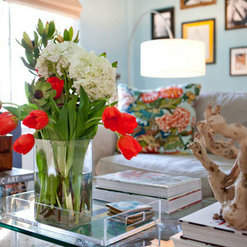 She has a brilliant eye for making any space not only beautiful but user friendly. Dee lives and breathes style and its apparent in everything she touches. Dee Murphy at Murphy Deesign did a fantastic job on my home. It was over 5000 square feet and I was very over whelmed when I hired her. Dee came aboard and opened my mind to a whole world of Interior design and taught me to think outside the box with everything from patterns to accessories and furniture. I was so happy with the end results that i was sad to see it come to an end because it was such a fun process. Dee has a great eye for restoring antique furniture and her knowledge for modern day pieces that she is an artist when she collaborates them together. I would recommend her to anyone who has just bought a new home or is looking to redo their home and bring it back to life. Commented: Love the console. Where can I purchase?Hi! It's from West Elm! Commented: Where is the round chair from? its gorgeous!Hi Samantha! This is from a vintage store in Los Angeles... I believe it was Midcentury LA! Commented: Paint used on the door?I wish I did! It was already painted that color when I was brought in to do the design! Commented: I love this wallpaper! Can you tell me who the manufacturer is?Hi! This is Cole &amp; Son!